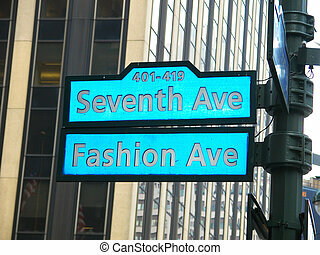 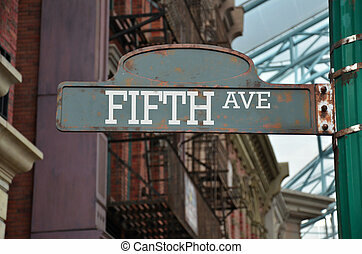 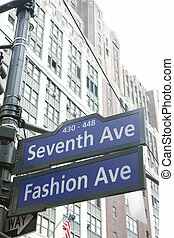 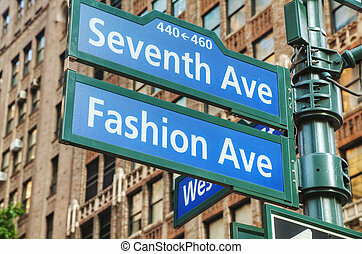 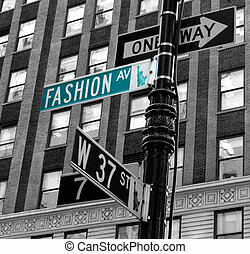 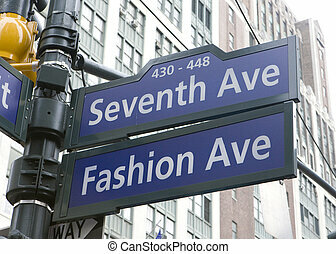 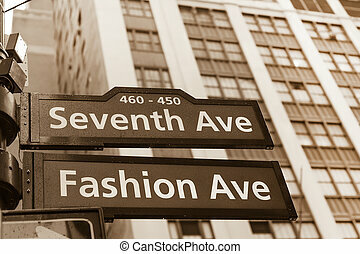 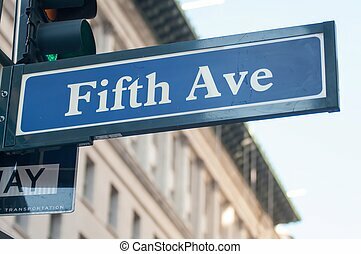 New york city fashion avenue road sign in midtown manhattan. 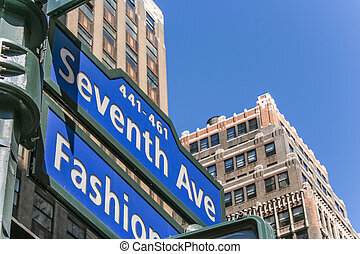 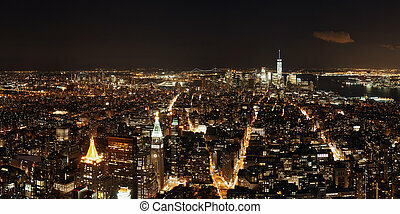 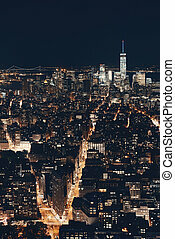 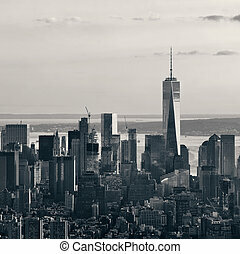 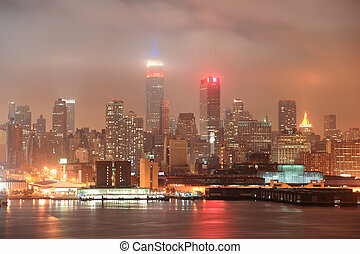 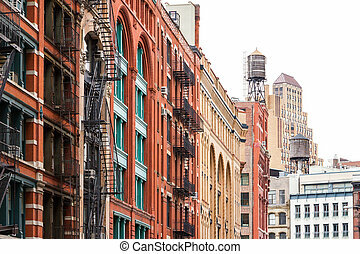 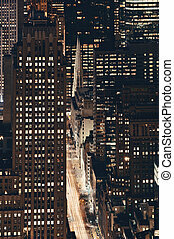 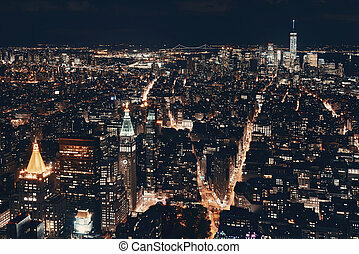 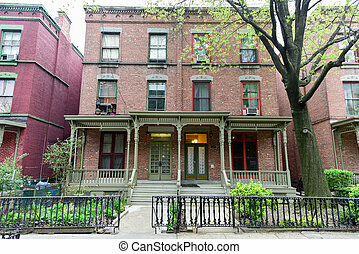 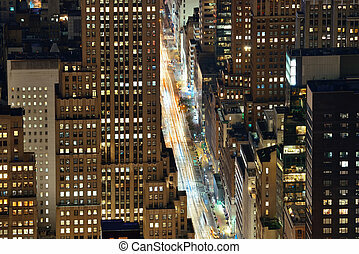 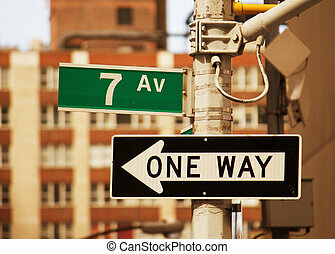 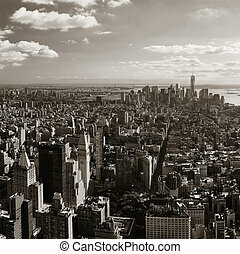 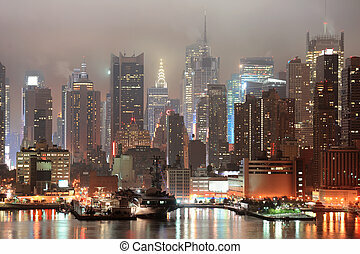 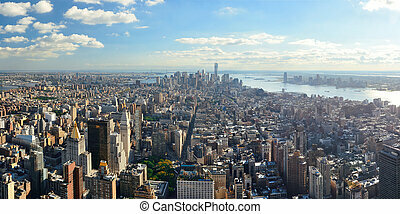 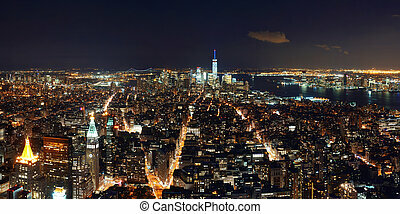 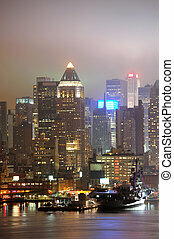 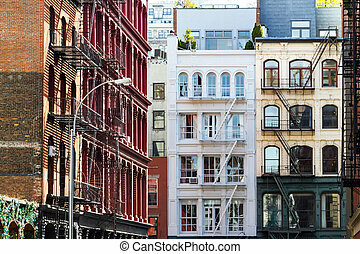 Corner of seventh and fashion avenue in New York, USA. 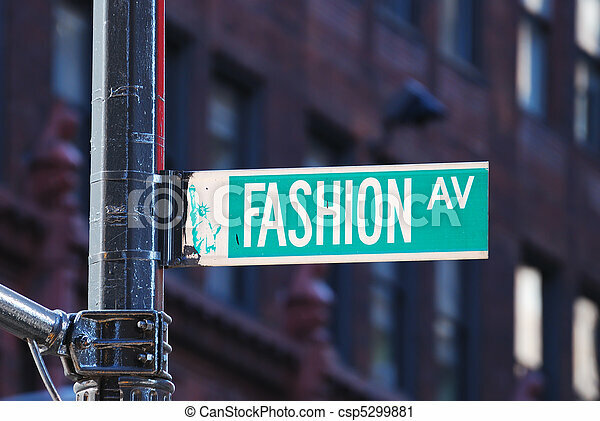 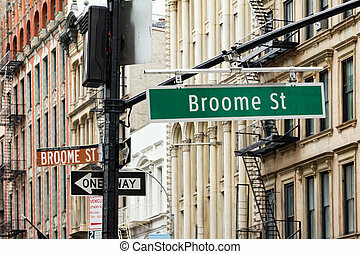 New York street sign on seventh avenue, Fashion Ave.